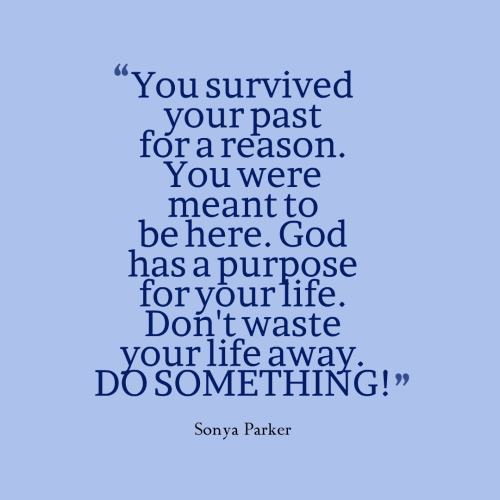 You survived your past for a reason. You were meant to be here. God has a purpose for your life. Don't waste your life away. DO SOMETHING! 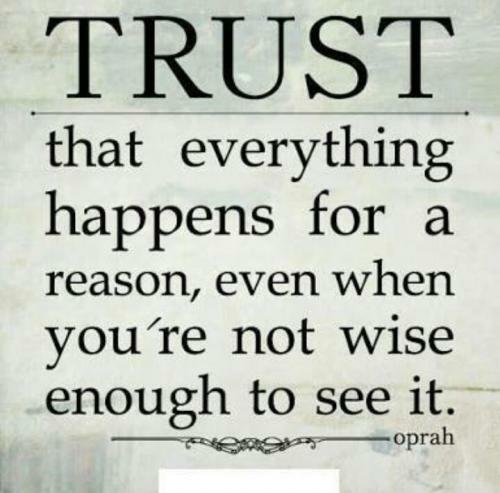 Trust that everything happens for a reason, even when you're not wise enough to see it. Everything that you do and you go through are experiences that may help you to provide great value to your life if you are willing to learn. Sometimes we make a wrong choice to get a right place. Don't be concerned that things appear to be falling apart: this has to happen in order for something new and wonderful to emerge. No matter how much it hurts you now, one day you will realize how much it helped shape who you are. Dear God, sometimes I don't understand why you made certain things happen to me. But it's okay. I trust you, because you know best. With experience you become wiser you and you will realize that sometimes bad things happen for a reason. And somehow you will see that some good came out of the event in your life that you once considered a failure. Do not fear failure. It is a part of your journey to finding your way to success. Things happen for a reason basically means that everything happens for good. All the things that happen to us in our lives are somewhere down the line, destined to happen. Failures, turns and twists and adversities might break us down and lessen or morale completely. But even we should learn to take them in our stride and learn from every bad experience too. Tracey Gold had once remarked, “I don't believe things happen in vain. 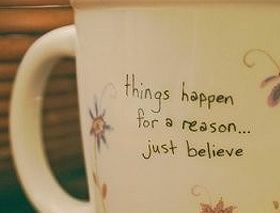 I believe they happen for a reason.” Everything that happens to us in our lives happens for good and teaches us a lesson. Perhaps one should learn from every kind of experience whether good or bad. People who keep their chin up even in the most testing circumstances can always end up making a lot out of their lives.